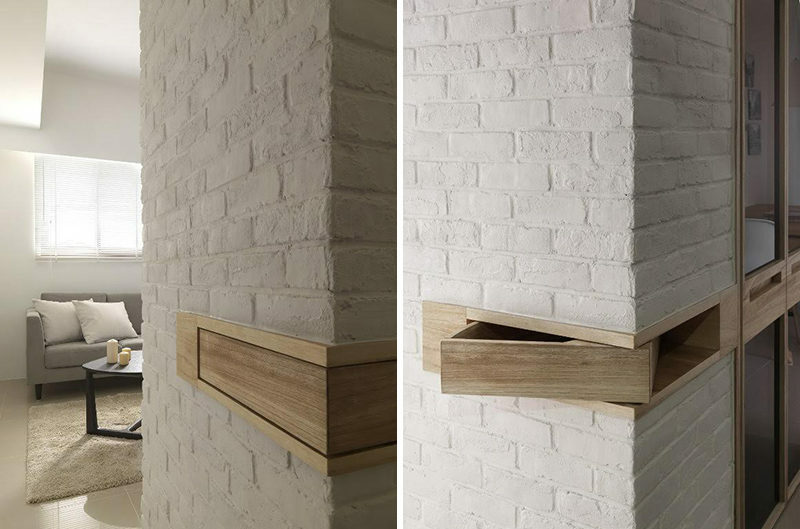 As part of the design of the interior of this home, Purism, an interior design firm in Taiwan, created a hidden nook within a wall, specifically designed to hide small items. The brick wall, which has been painted white, has a small wood section that wraps around the corner of the wall. 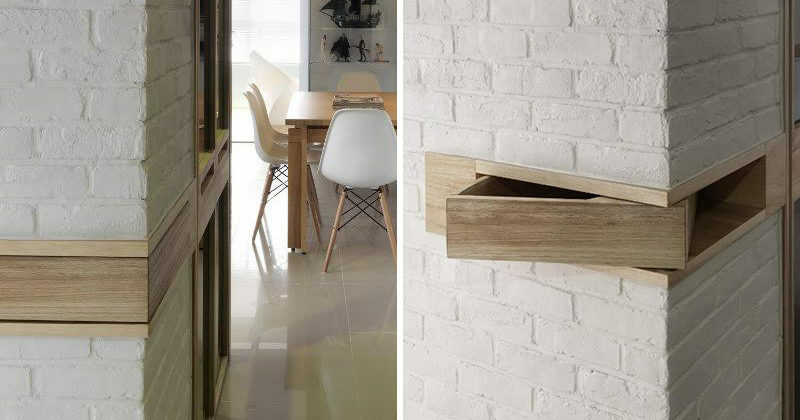 This wood section can actually be pushed out to reveal a secret hiding space in the form of a wood box.